Antonio of the flowys and pinch line technique DVD's has agreed to the interview which I believe is going to be before Christmas, if you do have any questions then fire away. Antonio will answer the set questions and then any others you may have for him, he does a lot of street busking/performing. Antonio has just sent me his Interview answers, I have only read the first two but this is going to be one of the best Interviews in a long time as Antonio has gone into great detail and depth with his answers. I am looking over the answers as English is Antonio's second language but his English is better than mine. Hoping he may start putting the answers up tomorrow. it's a world that I totally adore!!! ---------1, What road led you into balloon modelling? I live in Altea, a small village (20,000 people now, but 30 years ago when I was 6 it was even smaller) so I didn't see any balloon twister in my childhood, but I had the amazing influence from the amazing Magician Juan Tamariz who had a show on TV and that show was the most amazing thing for me, I started doing some magic with a magic box for kids that I got for Christmas, I only used the book to do all I could without using the included props because all the props looked too tricky, so in my opinion will never illusionate my audience... (don mistake the difference between fooling and illusionating the audience, they are similar but not the same...) this love for magic was forgotten for a while but every now and then I could use what I learned from the book to make people happy. After some years when I became 18 (1994) I bought a second-hand magic book called "The Best Card Magic in the World" a big lie, but it helped to start so I started to learn card magic, then close up, street magic... A year later I became the president of the magic club of Alicante (50km from Altea) and to be honest I had to study a lot to get to the level a president must have and then to keep the level high. Being the representative of the club, I travelled around Spain from magic meeting to magic festival and at one of them (Almussafes, Valencia 1995) I learned from a magician to twist a dog and a 4 loop petal flower, I remember even today the street where he showed me while we waited for a magician friend to come down from the hotel room, for me to be able to create such a beautiful thing out of a balloon was really really nice, since then I always tried to learn some figures and to make them to entertain people, I was more focused on the illusion and the magic but somehow I collected new ideas and figures from everywhere I could, in those days the knowledge was much more difficult to get than today, so I really took all the flavour to each new design that passed my hands making as much variations as I could... but until my first time in Euro-Jam 2006 I didn't really start creating, before then I just played with 260, I didn't even know that 160 and 350 existed so all my balloons for more than 10 years were copied from other people (or like I read these days in the Internet "inspired" which means same colour and proportions and techniques...) it was my first time at Euro-Jam that made me become a passionate balloon twister, that first year I saw truly amazing artists teaching, I still remember the amazing knowledge I got from the workshops of: Alberto Falcone, Luc Bertrand, Colin Myles, Sabina Kellner, Dennis and Guido, Niko Fric... just too much info and passion for a whole year practising and waiting for the next year of Euro-Jam. One year later I went to the Euro-Jam and to the Millennium Jam and from there on I am a declared balloon lover. 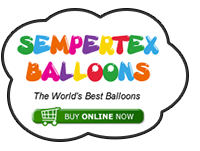 Thanks for coming to the Balloon Chat forum and answering the questions. I'm looking forward to reading your answers! Are you going to Twist & Shout in St Louis? Antonio has a wealth of knowledge which I think the forum members should pick and ask questions as in the past we have had some amazing twisters doing the "Star" Interview and the forum members have only asked the odd question now and again. I'm sure Antonio would love to answer anything you wish to ask balloon'ish related. He also busks and makes a living full time from his balloon art. He also has two great DVD's out ao please check out his website and if you can please support him, thanks. You made me blush... Thanks and yeap here i am happy to answer!!! I am looking forward to reading your answers as I truly appreciate your passion and love of balloons and I feel blessed that you took your time to encourage and help Dustin last year at Twist and Shout even when you had your own sculptures to finish. Not only are you a great balloon artist, but you are also a very great friend and person with a very huge heart. I think Dustin would have quit right at the end if you had not been there to help keep him motivated and make him laugh. --------2, when did you get started with balloons? If you let me make a comparison with music, I started making scales in 1995 but didn't play any nice songs, just lots of tries but no real music and after practising that much I started to play songs in 2006, so that means 11 years of occasional fun making scales and then I got all the "sheet music" to play using my skills from the trained years, sometimes the opposite happens and you get lots of "sheet music" but you don't know how to play scales so all the music you play sounds crooked. I was lucky to get the right way to twist proper balloons. --------3, What’s your best twisting experience? I really love the experience of getting a new way to make a figure, to get new designs and if they are simple and nice, much better, but the very best experience is that balloon twisting made me meet amazing people from all around the world that share the same passion for balloons, people that I admire deeply and I can say they are my friends, that is priceless. --------4, What is the worst thing that has ever happened to you during a ballooning/entertaining session? Rain?... 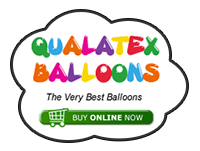 just kidding, one thing I hate is when the materials are not good, maybe it sounds like an excuse, but if the balloons are not fresh and they pop all the time, I can not work in a comfortable way, so any brand, but fresh balloons. --------5, What do you most enjoy about twisting & why? Balloons are perfect for that; they don't last too long, but long enough for me!!! Let me tell you a funny thing that happened, to clarify the touchable factor of balloons, I was performing as a magician in a magic festival in Vitoria, Spain with some of the great magicians from the show time world, like Michael Weber, Kevin James, Gaetan Bloom, Vallarino, a big number of stars, at the gala night it was the birthday of one of the assistants of Kevin James, everyone in the room could make miracles or illusions as a present for the assistant but Weber came to me and whispered: "Hey Antonio, can you make him a balloon so we can make him a surprise party?" It felt so nice to be the one that twisted a cake for him. I was there as a magician and didn't make any balloon for the audience in my shows but as always I had my balloon bag with me, and I always will, I really love balloons!!! Antonio - I love your passion and enthusiasm for balloons and the artform!! i have some decors and some partys to twist or do close up magic but its quiet time, they are birthdays and pub gigs but as i say small amount as all years by this period of the year. i am always with my bag of ballons with me and i twist balloons for my self every where every time, well if i am not disturbing with the sqicky noise ( i like that balloon noise but not every body does so i try to respect that, by the way if i really fell like twisting and its a quiet atmosphere i use metalic or satin balloons, they are less noisy because the friction is less whith them, never try it with a cristal clear they are really noise ones... I also try to avoid friction by pulling all the torsions... Hehehe i really like to challenge my self) so twisting for the fun of play its every day work. This is also a good period for me to teach and visit balloon congres and clubs, i try to travel as much as i can because in the sumer time i can not leave Altea. ---------6, What's your favourite age to entertain? ----------7, Do you have the same act but vary the presentation for all ages or do you have set acts for different ages? A fast example of what I do is if the kids at the party are younger than 7 years old, I don't do a magic show. ----------8, What’s your favourite thing to make at the moment? Well I have 2 that I really really love, but the list would be so long because I have favourites from lots of artists in this balloon industry, if I could make a list with one design of each of my favourite artists it would be very long, so I will just talk about my own designs, the Twisted Heart where I make a 1 inch heart out of a 260 or a 2 inch heart from a 350 or a smaller one from a 160, it's my favourite thing followed closely by the Altea Rose that until now has a big effect on the face of the people that get it as a present, I promise!!! So how do you come up with your own unique designs? How do you stop copying other peoples ideas and create your own? Whats the best sculpture you have ever made? Who do you think has inspired your work the most.